Ricky Powell and 1xRUN are excited to announce Mutual Respect Is A Beautiful Thing, an ongoing series of collaborative editions and original artwork featuring contemporary artists remixing, re-imagining and revisiting the classic images of Ricky Powell. Kicking off Nov. 20th for pre-order Mutual Respect Is A Beautiful Thing: Round I features new collaborative work from Anthony Lister, Ces, Crash, Dalek, Gregory Siff, Harif Guzman, Jim Mahfood, Kaves, Kristin Farr, Michelle Tanguay, Mike Giant, Swoon and Toofly. 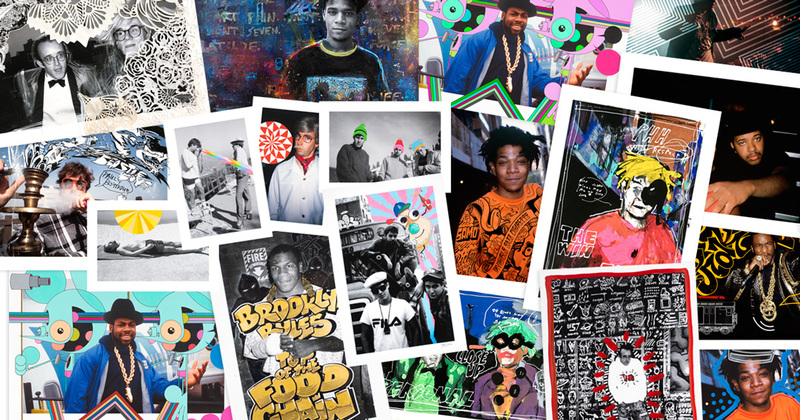 Classic photos of The Beastie Boys, Andy Warhol, Run DMC, Keith Haring, Jean-Michel Basquait, Mike Tyson, Rakim, and more all get unique flair from each artist paying homage to these artists and the lazy hustling of Ricky Powell. Without further adieu we turn it over to the Funky Uncle, The Kool Substitute Teacher, The Lazy Hustler himself, Ricky Powell, as he takes us back to the beginnings of these collaborative prints more than 2 decades ago, and he looks forward to new collaborative prints releasing for his 57th Birthday. Pre-order yours now. . .
…Hello…how are you..? Welcome..to my latest collaborations, with artists…who got down with my photographs..It is a truly an honor. I appreciate each and every one, of them…because I admire their talent and creativity…I started doing this about 20 years ago…I was inspired when I was reading the book *Greenwich Village* by one of my photography heroes, Fred McDarrah..1963… He shot a lot of the scene..the beatniks..artists, happenings and what*not in the Village, mainly in the 50*s thru the 80*s.. I met Fred McDarrah, for the first time in 1987. He was the photo editor at The Village Voice..and their offices were at 12th St and Broadway, at that time..I marched into his office which was krazed with stuff all over the place..he was on the phone and I stated *I just came back fro the European leg of the Together Forever tour, with Run *DMC and the Beastie Boys, and I have exclusive photos… expecting to be like *Wow, Really?!*..but.. in his gruff voice, he paused on his convo on the phone and said *That’s great kid but do you have any pictures of Hedda Nussbaum..? * She was involved in a grisly murder case involving her daughter and husband..I looked at him..and just said, nope.. ok thank you I*m busy.. I walked out a lil deflated… but I got down with the Voice after that with a live photo from Lenny Kravitz first gig at the defunkt Bottom Line venue..
Back to that book.. he talked about all the legendary artists of the time hanging out together at bars like Cedar Tavern.. so I was intrigued by the combinations of artists..say for instance Jasper Johns and Roy Lichtenstein..and I was like, wow, those guys hung out? I wonder what they talked about..and I wonder if they ever collaborated, what it would look like..then..I thought, hmm….what if…I gave prints of my photographs to some of the artists that I know / have photographed, to see what that would be like…I*ll bet the people following my lineage would be interested..maybe even fascinated..
Fast foward to 2010….Frank 151 published a paperback book for me titled *Bug Out*.. which had diverse content in it.. including interviews, articles and an opportunity to do another round of collabos..and a show to follow., the artists this time included..(and forgive me if I can*t remember all of them..I don*t know where my remaining copy is) ..Too*Fly..Chino BYI..Count Haculla..UR New York..Vik…Stepan Malbon…Z*Behl..Kenan Juska. amongst others..It was another great experience..and the show was a great success..and FUN…which counts big*Time with me…and I did one more collection in 2016.. at the 212 Arts gallery in the east village….with artists T*Kid…Adam Dare.. and a few others.. that was a nice experience as well…I likeded how my photos were flippeded…..
Ricky Powell NYC..November 20, 2018 (my 57th BirthDay)..Air*Horn! 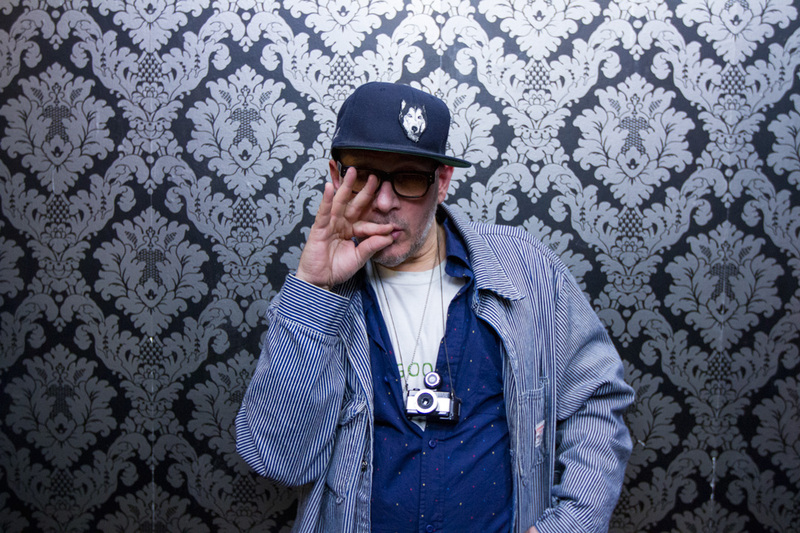 Stay tuned in 2019 as we are excited to continue this ongoing series with upcoming releases from Harif Guzman, Kevin Lyons, David Flores, Revolt, Zephyr, TTK, Phil Frost, Nicer, Ron English, Z Behl, Trike, Magda Love, Stikki Peaches and lots more surprises in the works with shows in New York City and Los Angeles coming in 2019. Happy Birthday Rickster!